On Thursday 5th July 2018, our volunteers from the RDN Supplementary School received certificates for completing the Level 3 Effective Teaching in Supplementary Schools training. The topic of the evening was: The Added Value of Language and Culture - a seminar on the role that supplementary schools play in their communities and in education. 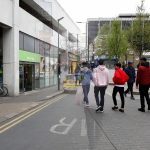 This was then followed by an awards ceremony for supplementary schools that had received quality marks, and individuals that completed the teacher training sessions. 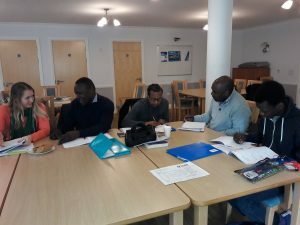 Five of our volunteers attended the 6 week training course by the NRCSE which covered all elements of the teaching cycle which are applicable to working with children in supplementary schools. Angela Bell, teacher trainer for the NRCSE, commended the high quality work produced by our trainees during the weekly sessions. 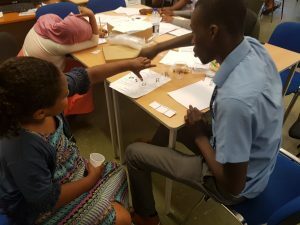 Each week would involve a discussion activity where trainees from different supplementary schools would compare and contrast teaching practices. Angela was particularly impressed by the microteaching sessions which were carried out at the end of the 6 week course. 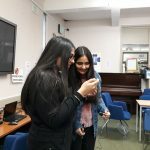 Trainees were also required to submit a report of three lessons that they had taught within their supplementary school, with evidence to show how they were using the skills learnt in training to help students in lessons. 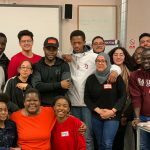 Overall, the course has benefited both volunteers with their career progression, and the organisation as the quality of the lessons delivered in the RDN Supplementary School continue to improve weekly.